Pineapples are a great and inexpensive fruit to buy along the Oaxaca coast. You can purchase one pineapple in the market for only $20 pesos…that's only $1.30 in Canada! Pineapples are members of the bromeliad family. Did you know that it is the only edible fruit of this family? It is rare that bromeliads produce edible fruit…but what delicious fruit it is! What is more interesting is that pineapples are actually a multiple fruit made up of dozens of individual flowerets that grow together forming the entire unit. Each scale of a pineapple shows its’ separate flower. 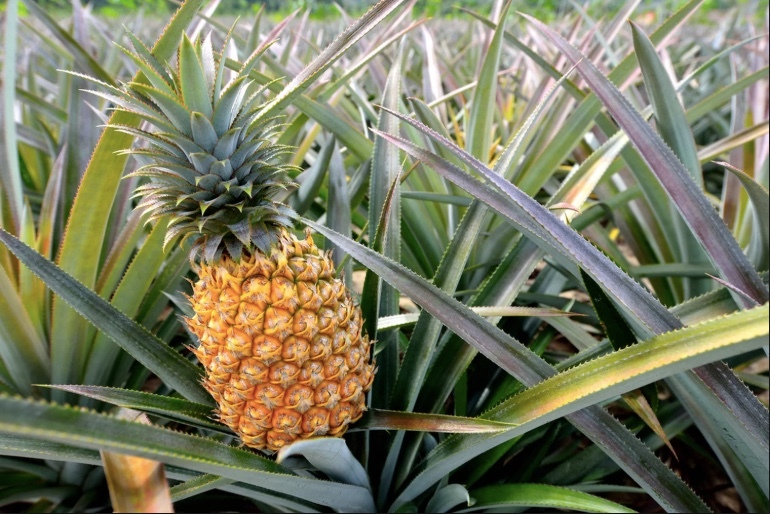 As soon as a pineapple is picked they stop ripening. You cannot choose your perfect pineapple by color, but must choose by smell. If it smells fresh, sweet and tropical, it is ready and will be perfect. One important tip is that the more scales on the pineapple, the sweeter and juicier the taste. 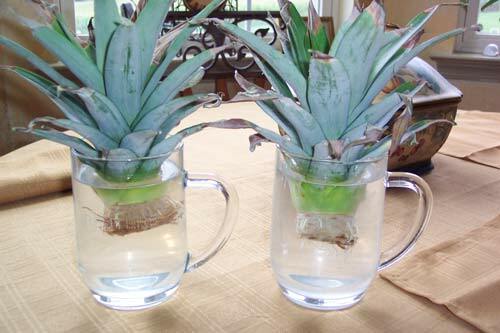 To replant your pineapple, cut of the top and put in water, keeping the leaves out. 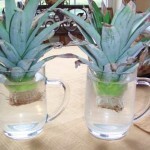 Once the pineapple begins to root place it in soil and watch it grow! Pineapple is a remarkable fruit with many health benefits including easing indigestion, arthritis and sinusitis. Pineapple juice has an anthelmintic effect; it helps get rid of intestinal worms. Pineapple is very high in manganese, a mineral critical to development of strong bones and connective tissue. A cup of fresh pineapple will give you nearly 75% of the recommended daily amount. This is particularly beneficial to older adults, whose bones tend to become brittle with age. 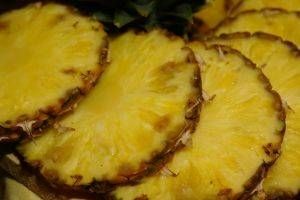 Bromelain, a proteolytic enzyme, is the key to pineapple's value. Proteolytic means “breaks down protein”, which is why pineapple is known to be an effective digestive aid. It helps the body digest proteins more efficiently. Bromelain is also considered an effective anti-inflammatory. Regular daily ingestion of one half cup of fresh pineapple will relieve painful joints common to osteoarthritis. Fresh pineapple is not only high in vitamin C but its’ bromelain also reduces mucuous in the throat in this vitamin, but because of the Bromelain. People who regularly eat fresh pineapple report fewer sinus problems related to allergies. Pineapple has been known to reduce and discourage blood clot development, is used to treat morning sickness and discourage plaque growth in the teeth. 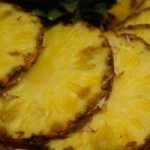 Pineapple is a very interesting and health beneficial fruit – try some today! It's as “Authentic Mexico” as it gets. The view is magnificent. It has a beautiful pool and you can relax in the deck chairs either in full sun or under the shade of the pergola. There are many beaches and sights near-by. You can take a 10 minute walk into town where you will find everything you need. You may learn about something it might have taken you years to find on your own. Thank you to everyone, including staff for making our vacation like no other. May is almost over and although many direct international flights have stopped for summer the real estate market continues to be building momentum from high season. April came and is almost gone with many Canadians wondering if Old Man Winter forgot to hit the snooze button?? Here on the coast, after nothing but blue sunny skies, we all patiently wait for the cleansing feeling of the first rain of the season. It is quite magical watching the coast transform to be completely lush and green again. We also look forward to some other exciting events such as the Bocana Open Surf Competition and the Annual May Fishing Tournament. I cannot believe spring has sprung already. Where does the time go? February came and went so quick and now March is almost over as well. With an early Easter, the Oaxaca (Wa-Ha-Ka) Coast is busy with a wonderful mix of foreign tourism as well as many of friends from the North of Mexico visiting as a result of new direct flights from places like Monterrey, Guadalajara, Querétaro and our state capital Oaxaca City. If you’re like most travelers to Mexico, you probably love to scoop up scrumptious edibles. From taco stands to five-star dining, you can eat like a king. It’s just knowing what to order that holds the challenge. Most well-traveled experts will tell you to order the house specialty. Nine times out of ten, you’ll be begging for more by the end of the dining experience. Why? Because the house specialty is just that – special. Sometimes it’s made by an expert or the ingredients are produced locally. But whatever the reason, the house specialty encapsulates the aroma, flavor and essence of the restaurant and dare we say, the community. 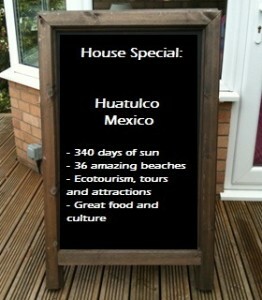 So what is the house specialty in Mexico? Huatulco Mexico. Virtually untouched by over-the-top tourist traps, this tropical destination distinguishes itself from other Mexican seaside destinations. Community members work hard to maintain its pristine bays and beaches, jungle and waterfalls. Not to mention, the “just be you” vibe is alive and well, perfect for those who want to “chill” beachside and get the sand between their toes. 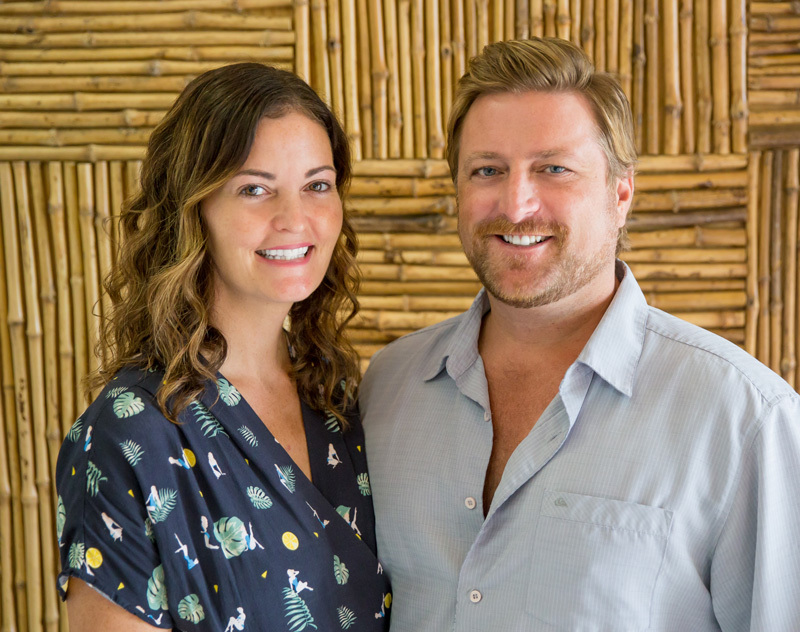 And all of this “atmosphere” makes a perfect backdrop for the financially-savvy investor who is ready to make his or her vacation rental or primary residence purchase. Right now is the perfect time to “make your real estate order.” From untouched land for sale to single family homes and from luxury condos to beachfront villas, the selection is unlimited. And what makes this house specialty even more special? You’d be getting in early enough to still “scoop up those scrumptious” beachside properties that will suit your tastes and budget. If you’ve always dreamt of owning a spacious beachfront villa, Huatulco Mexico is worth checking out. Secluded 3 and 4 bedroom villas boast of stylish furnishings, ample room for entertaining and infinity pools with sun-warmed chaise loungers. 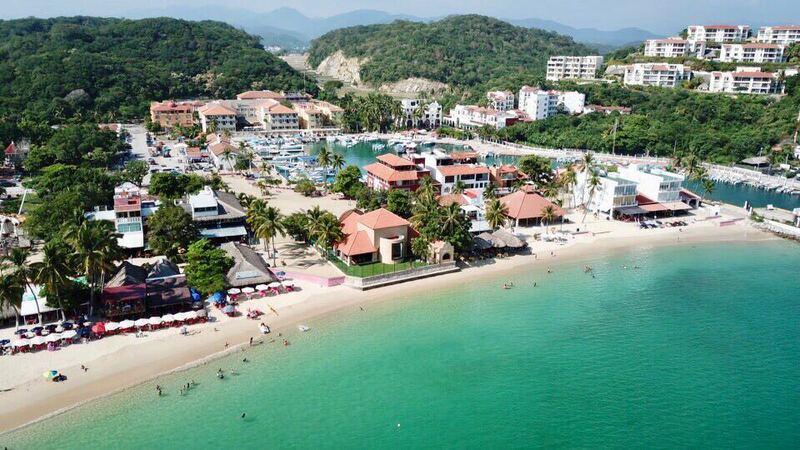 In fact, each of our Huatulco beachfront villas come with modern-day amenities and breath-taking shoreline views. What makes these villas so enticing is the “built with nature in mind” design. Each is built into the setting. Trees, rocks and rugged cliffs become a part of its landscaping. To get to the rolling waves, simply take the path that leads to fun in the sun. Relax in the warm Mexican sun, either alone, with someone special or while getting to know the neighbors from a few villas down. Blue skies. Warm water. The comforts of home. 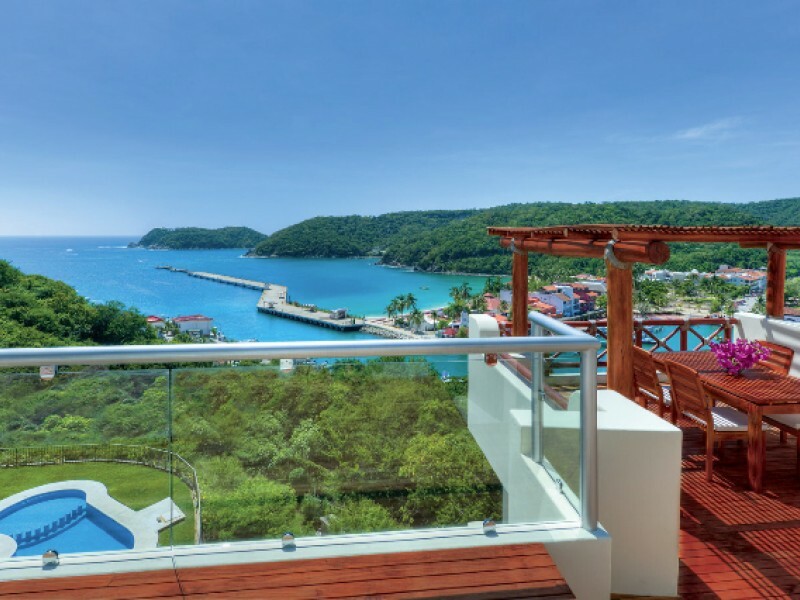 You get it all of this and more with Huatulco real estate condos. Whether you’re a single person, couple or family, you’ll love the tasteful simplicity that our luxury condos have to offer. Spacious rooms, tailored décor and ocean views set the stage for deluxe indoor living. Outside, the infinity pool, sun-drenched deck, terraced gardens and nearby conveniences make these easy-to-get to locations irresistible. 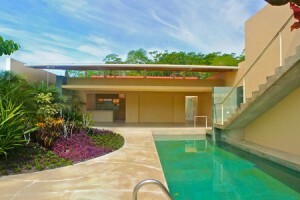 Intimate, quiet and secure, lofts are the “twinkle in the eye” of Huatulco real estate. With 1 and 2 bedroom options, these all-in-one dwellings come with a hip new way of maximizing your real estate investment and Huatulco’s worry-free lifestyle. 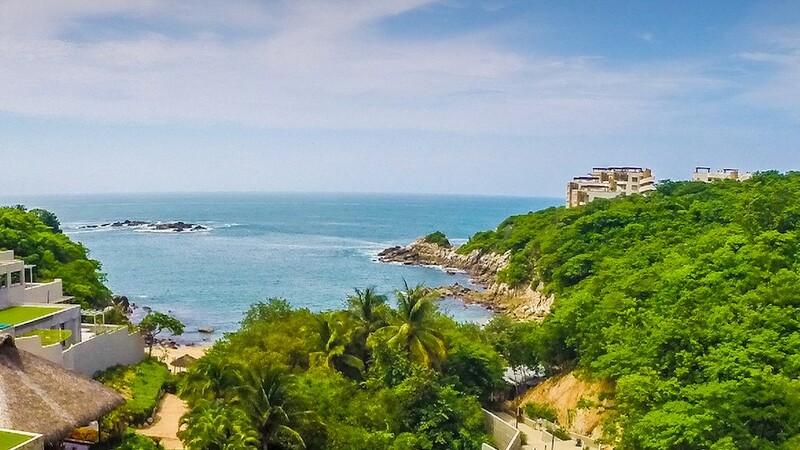 There is plenty of land for sale in Huatulco Mexico, and now’s a great time for investors to purchase prime real estate in the most exclusive areas of Huatulco. Whether you are shopping for beachside or inland land options, you’ll find breathtaking stretches of property and profitable potential. Privacy is key when owning Huatulco single family homes. Many are located in quiet, secure communities, just a short walk to the beach, market, school, bank and medical clinic. Smartly designed, each single family home is built with convenience in mind. Serve your latest culinary creation in a modern-day kitchen or entertain loved ones poolside on the private patio. Or simply relax with a good book and umbrella-ed drink. The space and luxury is yours. So if you’re ready to go with the house specialty in Huatulco Mexico, contact us today. We’d be happy to give you as much information as you need to capture the “essence, flavor and aroma” of Huatulco real estate. February, the month of LOVE. Would you be open to looking for love in Mexico? Check out our HOW TO below. We are absolutely loving what is happening with the Huatulco and Oaxaca Coast Real Estate market. 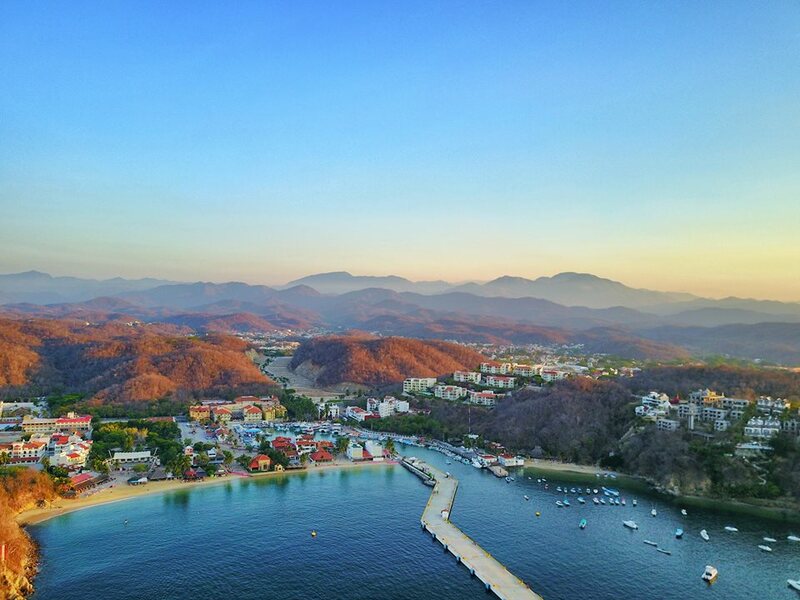 2018 is proving to be the year Huatulco has hit the map. Inventory is being snatched up in the form of condos, homes, lots and development land. Feliz Año Nuevo! I think I am still allowed to say that in what is almost the last week in January. This may be one indication of how busy we are now that Huatulco is being recognized as a new lifestyle and investment hot spot! I think we need more HELP! Holiday season is almost here and we are getting ready to draw our Christmas Trees in the wet sand while we participate in our 12 beach days of Christmas tour. 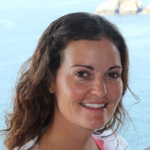 It is obvious to the Bayside Real Estate Huatulco team on the ground that Huatulco has officially it the world map with the increase of showings and early season purchases.